Rev. Paris had seen both Betty and his neice Abigail dancing in the forest with his slave Tituba. Before he came most of the girls ran in fear of being seen. Betty and Abigail were the ones who had got caught. 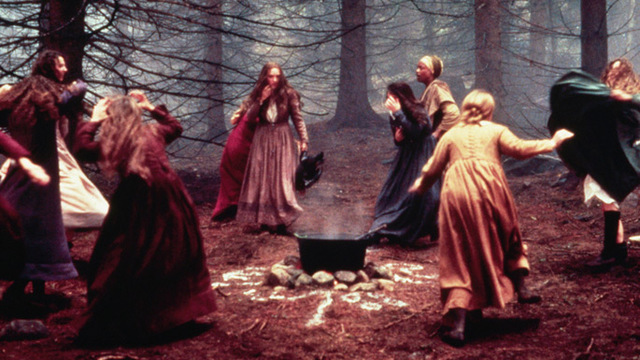 That evening in the forest, he also saw Tituba waving her arms over a fire, a dress on the ground, and someone naked running around their circle. John Proctor said " I'll tell you what's walking Salem—vengeance is walking Salem. Now crazy little childern have the keys of the kingdom". In this event after Rev. Paris spotting Abigail and Betty dancing in the woods, Abigail scares the girls so they will not speak the truth ever. Abigail said "And mark this. Let either of you breathe a word, or the edge of a word, about the other things,and I will come to you in the black of some terrible night and I willbring a pointy reckoning that will shudder you. I saw Indians smash my dear parents' heads on the pillow nextto mine, and I have seen some reddish work done". Proctor and his wife Elizabeth mourn that their own household helper, Mary Warren, is caught up in the frenzy of accusations. Elizabeth is afraid. They know that Abigail is behind these accusations, and Elizabeth urges Proctor to go to town and reveal that Abigail basically said it was all a hoax. Elizabeth makes an allusion to the affair Proctor had with Abigail, and catches him in a lie, he told her he was not alone with Abigail at the Parris home, but in fact he was. Reverend Hale arrives at John and Elizabeths Proctors home. He is going around and investgating people who were mentioned in the trial. They come to the house looking for proof that Elizabeth is guilty and are suspecious about there being poppets in the house. 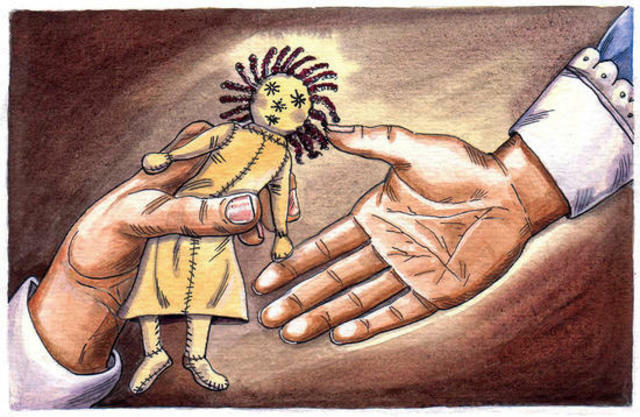 Elizabeth says she has no poppets other than the one that Mary gave her that very day. Upon inspection, Mary’s doll is shown to have a needle stuck in its center. Earlier that day, Abigail said she had been stuck with a needle. 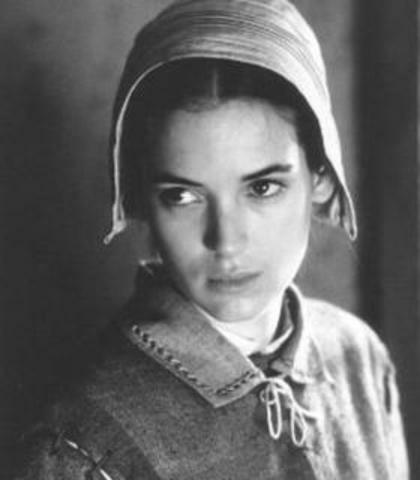 After Elizabeth Proctor gets taken to jail, John Proctor decides to go into the court and tell the truth about his affair with Abigail Williams. Little did John know, Elizabeth came in and lied to the court, thinking she was protecting John when she really made the situation much worse. Sixth Event; Several people accused of witchcraft. Ninety nine people were accused of withcraft in Salem. 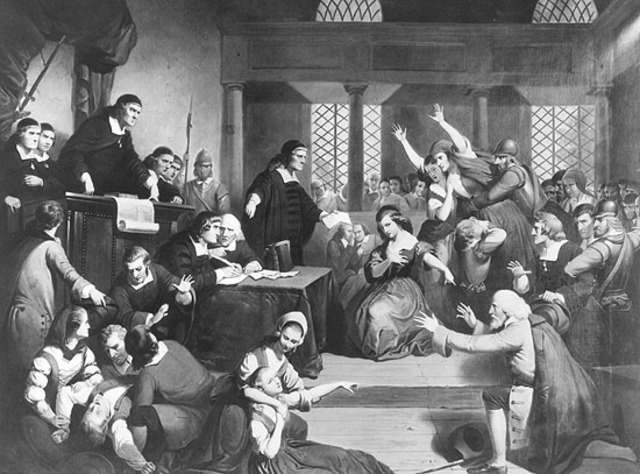 Abigail, along with the rest of the girls, were taken into the courtroom with John and Elizabeth Proctor present. After Mary Warren tells the court who really made the poppet, Abigail and the other girls said that Mary Warren is cursing them. They all started to mimick every word Mary Warren spoke. John Proctor confesses to the judge in Salem (Thomas Putnam) that he never had seen anyone with the devil. 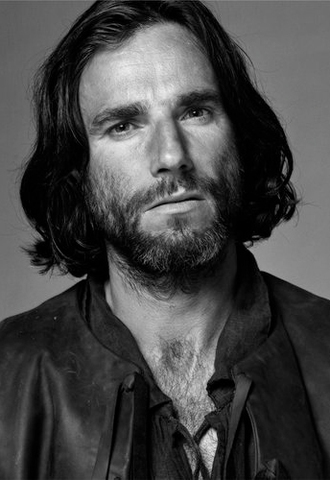 After saying what he did confess, John Proctor agrees to sign a legal document for the people of the cburch. The document stated that he was sentenced for witchcraft. Shortly after John Proctor signed the document stating he never saw anyone with the devil, he took it back. He then said he did see people with the devil, but never described any names. Since he would not give any names, he was sentenced to hang. He did not want to give away any names, because theu were his friends. 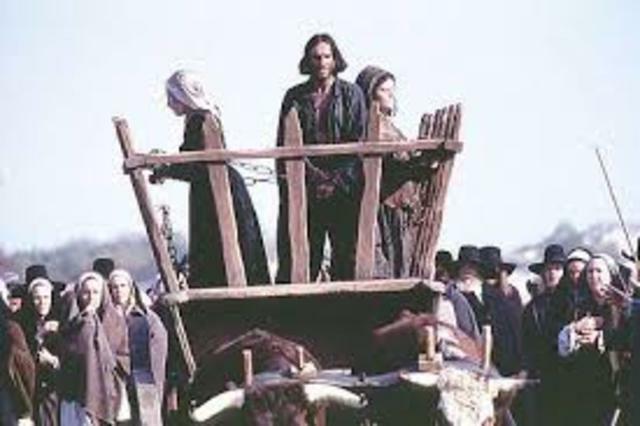 Since John Proctor decided not to tell anyones name, he along with two other woman were sentenced to be hung. Judge Danforth did tell John Proctor if he were to sign a piece of paper stating he cheated on Elizbeth, for the whole town to see, he would not be hung. 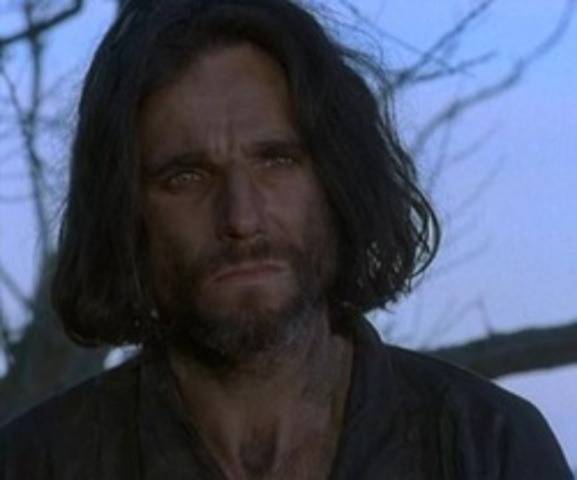 After Judge Danforths offer, John Proctor makes the hard decision to get hung, instead of signing a piece of paper, telling the whole town what he has done. He did not die for nothing. John Proctors motive was that if he died, his sons names were not soiled, and to finally do the right thing. John Proctors decision to die, he believed, was the right thing to do.